When you’re coaching youth baseball it’s important to spend adequate time on each position. 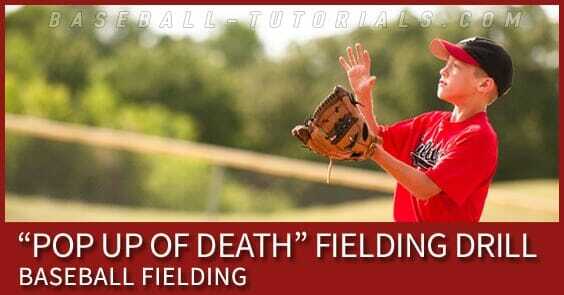 Today we’re going to talk about a workout that’s ideal for your outfielders. So oftentimes as we work with young kids, we get the connotation with outfielders that the weaker players are put there for the duration of the season. In reality, some of the greatest players throughout the history of the game have played in the outfield; in fact, many of the highest paid players are in the outfield. 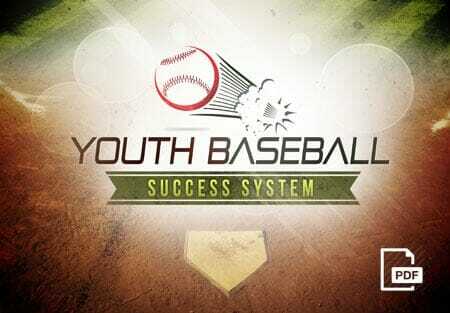 With youth baseball, most of the plays take place in the infield; however, bigger mistakes are made in the outfield. 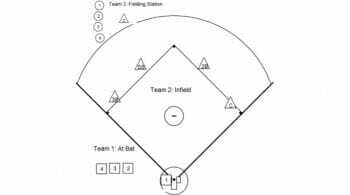 A mistake by an outfielder results in a two- or three-base error versus the infield, where it’s a one-base error. 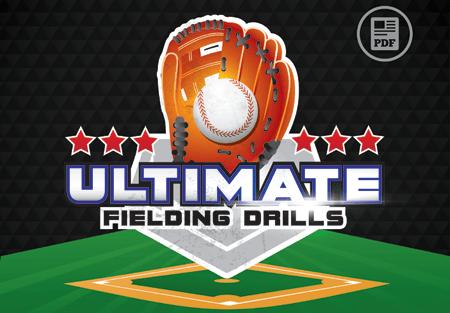 So we want to make sure that we take time with all kids, but especially young kids, to teach them some of the techniques of outfield play to make sure that they know how to move their feet, what they’re supposed to do, and when they’re supposed to do it. The beginning of any discussion with regard to throwing for an outfielder has to begin with how you grip the ball. As youngsters we’ve been taught to grip across the seams. An across-the-seam grip would be one where we grip across the two wide seams, almost like a horseshoe. The reason that we do this is because it actually allows a ball to travel a little bit faster. We’ve been told over and over, grip the ball across the seams. The baseball is in what we call an air pocket. The air travels around the ball and creates a pocket around the ball, and as that happens, it allows the ball to travel through the air a little bit easier. In fact, it allows the ball to travel through two to four miles an hour faster than if you didn’t grip it across the seams. If you grip with the seams, you don’t get that air pocket effect. So we want to make sure that we grip the ball across the seams. 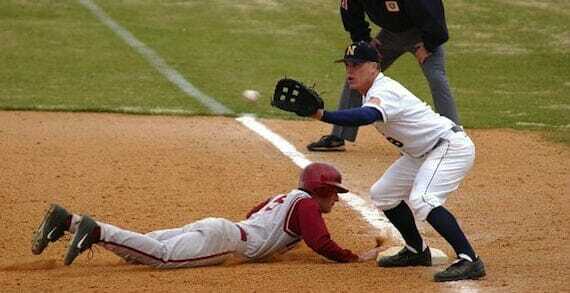 An outfielder throws a little bit differently than the other positions on the field. Pitchers parallel outfielders, but infielders and catchers throw completely differently. 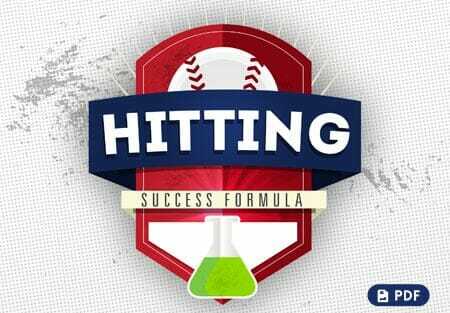 Let’s talk a little bit about what we need to do for an outfielder to allow us to take complete advantage of whatever arm strength he has. When an outfielder makes the move to throw, after he’s received the ball and it’s in his glove, he drops his hand down below the waist. We call that going down and back and up. This creates kind of a circle going around. 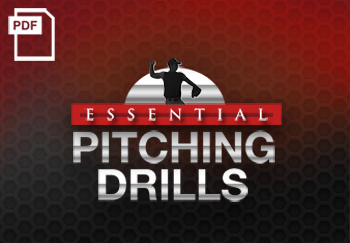 That movement down allows an outfielder’s arm to gain velocity. And that velocity gain translates into a faster, longer throw. It’s not quite as important that he gets rid of it as quickly as an infielder, so consequently he’s got a chance to do that. So when an outfielder splits his hands, we want a split of the glove, down, back, and up. We want the glove to out and what we teach our kids is what we call a scarecrow. 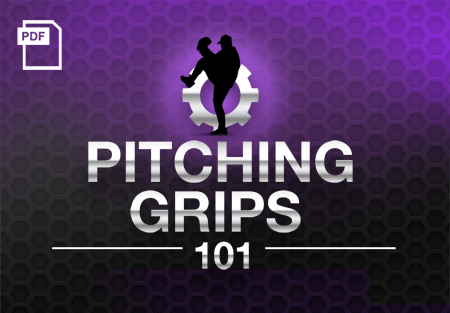 The glove is out, the fingers are on top of the ball, and then as we begin to throw, that glove’s going to come back to the chest and the arm will rotate up into a 90-degree angle and allow us to make a good strong throw. If I’m facing my partner, I’m going to always point my shoulder, my hip, and my knee at the target. We get kind of picky when we talk about how an outfielder receives the ball. When we receive the ball, we want to make sure that our partner knows we’re ready to receive the ball and that we show him what to throw–the middle of our body. When we set up to make a catch, we want to spread our feet about shoulder-width apart and flex our knees a little bit. This puts us in a position to anticipate a poor throw from my partner. Even if he doesn’t make poor throws very often, we should be set up to receive every time he lets go of the ball, so we always anticipate a poor throw. Now our hands go up and we show him a target. This is the box that we’re showing the target on and we want to make sure that each time the ball’s received, we’re in our box. That allows us to show him where we want it, and it also reminds us that we want to catch that ball in this box. If he happens to make a throw to our left, we’re going to have to slide our feet a little bit and get the chest in front of the ball. If he throws it to our right, we’ll do the same thing. Any time you can catch the ball in the middle of your body, it’s going to translate into a quicker release when you throw the ball. We always want to try to receive the ball with two hands. Above the waist, slide the thumbs together and trap it in. Below the waist, put the pinkies together and trap it in there. 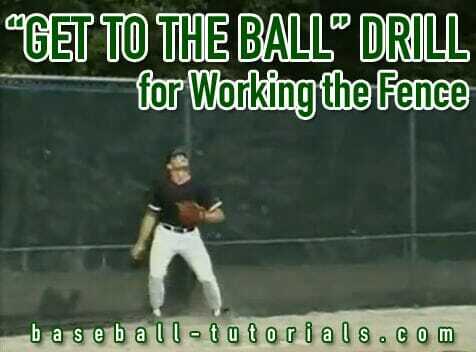 Going over these various outfielder techniques with your youth baseball players is sure to make them more confident when it’s actually game time. Did you like this post? Be sure to share it with your fellow coaches on Facebook.